It's been awhile since our last Friday Freebie (though we've posted tons of freebies on other days also recently, be sure to check those out!). Life with a homeschooler in Kindergarten, a preschooler, and a teething baby just doesn't slow down! During today's nap time I was able to get started on creating a design I used with my Silhouette to create a shirt for my daughter to wear at her upcoming Easter party at preschool. I'm all about that personalizing! 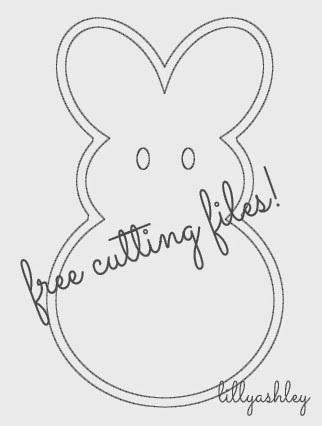 This freebie cutting file set for your Silhouette includes the bunny file personalized as shown above, as well as with a blank center. 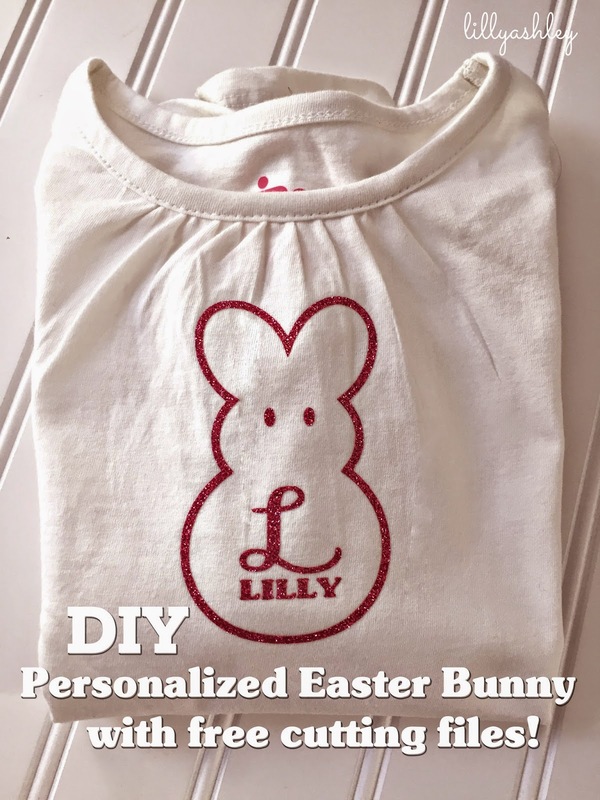 The personalized file can give you an idea of letter/name placement, and the blank bunny gives you a bunny canvas all ready for personalizing (or just use the bunny shape by itself, either way!). For my design, I used Sofia font for the capitol letter L, and Subway Regular font for the name. Feel free to use any of your favorite fonts! 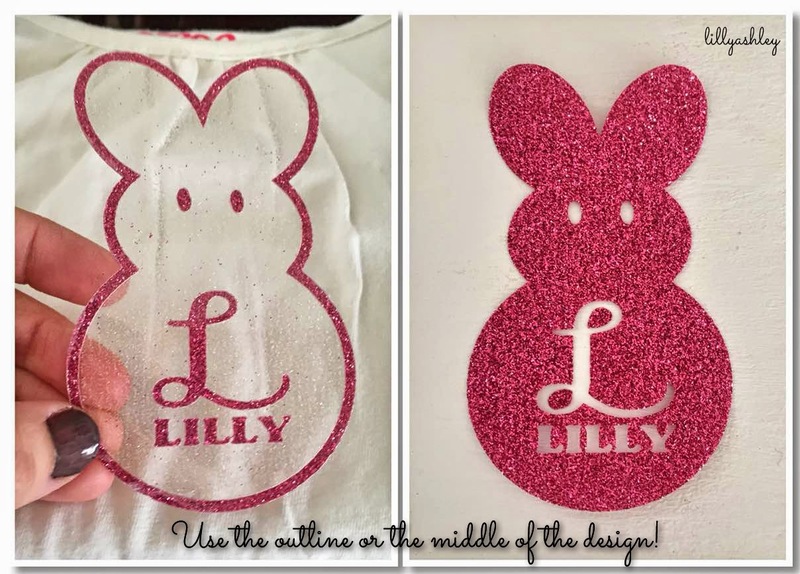 This design gives you the option to use the outline of the bunny with the eyes, or the center of the bunny with the eyes cut out! 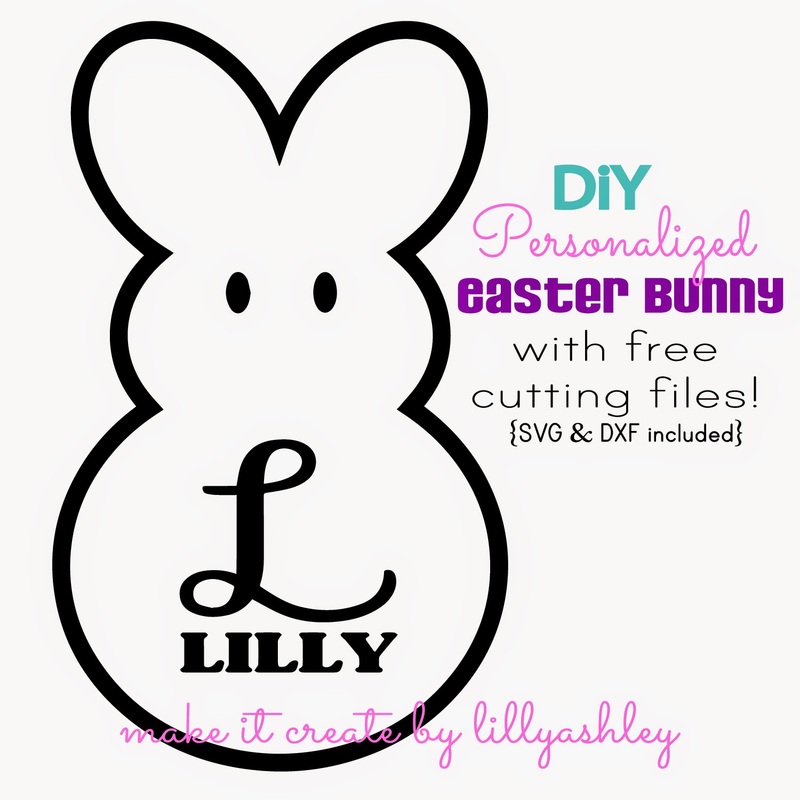 Included are the SVG format as well as the DXF format of the personalized bunny as well as the blank bunny. These SVG files can only be loaded into the *Designer Edition* of studio, so if you have the standard edition, the DXF format will be your friend! CLICK HERE TO DOWNLOAD THIS FREEBIE CUTTING FILE SET FOR PERSONAL USE! --DIY Easter Countdown Chalkboard with free Chevron Egg cutting file & more (set). Follow us on Pinterest to stay updated on new freebies as soon as they're posted!